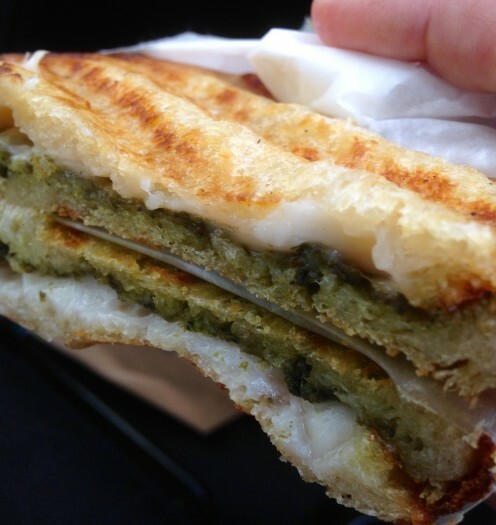 This is a modest but delicious sandwich, nothing fancy, just some pesto and that great mozzarella that they make at Smith & Deli on good sourdough bread. It is toasted so that the cheese is melty and the bread crunchy. I hadn’t expected to love this because it is just described as pesto and cheese. I thought that meant it was going to be the Bio cheese, but happily it was the mozzarella.